RANCHO CORDOVA — The City Council of Rancho Cordova, Sacramento County, has appointed Dr. Brian Nakamura as the new city manager. 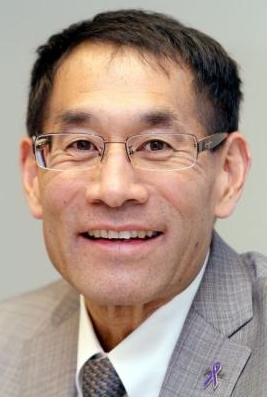 In this role, Nakamura, 49, serves as the organization’s chief executive officer, and will become one of only two people to be appointed city manager since Rancho Cordova became a city in 2003. When Nakamura began his new role on July 1, he succeeded founding City Manager Ted Gaebler, who retired in February. The appointment comes after a recruitment and selection process that garnered 50 candidates from around the nation and two rounds of interviews. Nakamura has more than 20 years of public management experience, including serving as city manager in Chico, Hemet, Banning, Reedley, Sutter Creek, and Oregon City, Ore. He also served as public works director in Riverside. He was named Business Manager of the Year by the Chamber of Commerce in both Reedley and Oregon City. Nakamura is both an experienced practitioner and educator, having served as an adjunct faculty member of California Baptist University in Riverside, teaching in subjects that included public administration, research in criminal justice, executive management and leadership, statistics, and budgeting and finance. He is a member of the International City/County Management Association and is an ICMA Credentialed City Manager. A native of Lodi, Nakamura holds both master’s and doctoral degrees in public administration from the University of Southern California. He also holds a bachelor’s degree in economics from Sacramento State University. He and his wife have two adult sons. I worked with him in Hemet. You will be ok if you realize every time he opens his mouth he is lying!